If you are interested in organising a fuel store clean or extraction, please complete the form below and one of our customer service team will be in touch. You should ensure you take good care of your fuel store to keep your biomass heating system in good working order. Doing this will pay dividends in getting the best performance from your biomass heating system. Regular store cleaning will help ensure the smooth and efficient running of your biomass installation, as well as save costs on potential boiler breakdown issues. Even the highest quality wood fuel will still contain a small amount of fines, and whilst fines and residues may seem innocuous, a build-up can create blockages and other problems such as combustion issues. That’s why ENplus recommend that fuel stores are cleaned out after every five deliveries or once every two years (whichever comes sooner). Please keep in mind that wood pellets lose their ENplus accreditation once they are removed from a store, so it’s always best and more cost effective to let your store run as low as possible before a clean. During a planned cleaning service, the technician will remove all fines and dust from the hopper. Cleaning only applies to amounts of up to 250kg, anything above this is considered an extraction. We don’t advocate individuals cleaning out their own stores due to health and safety risks. Harmful carbon monoxide emissions can build up in hoppers and oxygen levels can be depleted. Cleaning really is best left in the hands of the professionals who will follow the correct safety procedures and have the right equipment for the job. It involves using an industrial vacuum to remove accumulated fines on the bottom of the store and on walls, auger tray and other areas. 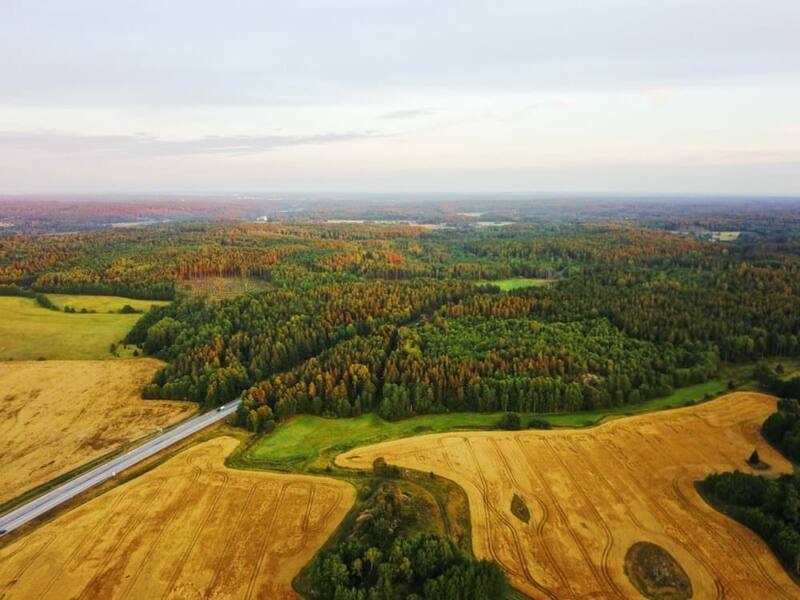 AMP Clean Energy, along with other wood fuel suppliers, provide this cleaning service with in-house professional, confined-spaces trained personnel. How long does a clean take and what should I do to do to prepare for this? The amount of time it takes depends on many factors such as the volume of residue in the store, what condition the pellets are in, and any access issues the technician may encounter. In terms of preparation you will need to open the store for ventilation at least 15 minutes before the technician’s arrival, switch the boiler off and ensure there is a suitable, level and safe working environment. This tends to occur when maintenance workers need to access the hopper. Up to 14 tonnes of pellets can be removed from a store during an extraction. How long does an unplanned extraction take and what do I need to do to prepare? 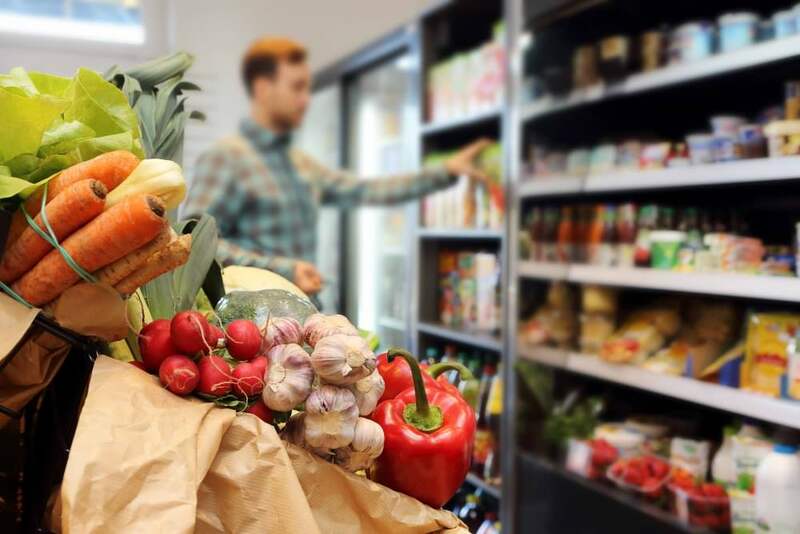 This depends on a number of factors including how many tonnes are left in the store, the condition of the pellets and whether the technician encounters any access issues. As a guide it takes approximately three hours to extract four tonnes of pellets. You will need to open the store for ventilation at least 15 minutes ahead of the technician’s arrival. You should also switch the boiler off and ensure there is a suitable, level and safe working environment. It is possible to organise for both these services to be done professionally at the same time. The pellets would be extracted first before cleaning the store of residues and fines. Some suppliers will be able to organise re-delivery of wood fuel on the same day, saving you time and money. Alternatively you can schedule re-delivery for a later date to allow maintenance workers access to the store. Once your store is clean and refuelled it is worth ensuring that your boiler has been serviced ahead of the winter heating season. 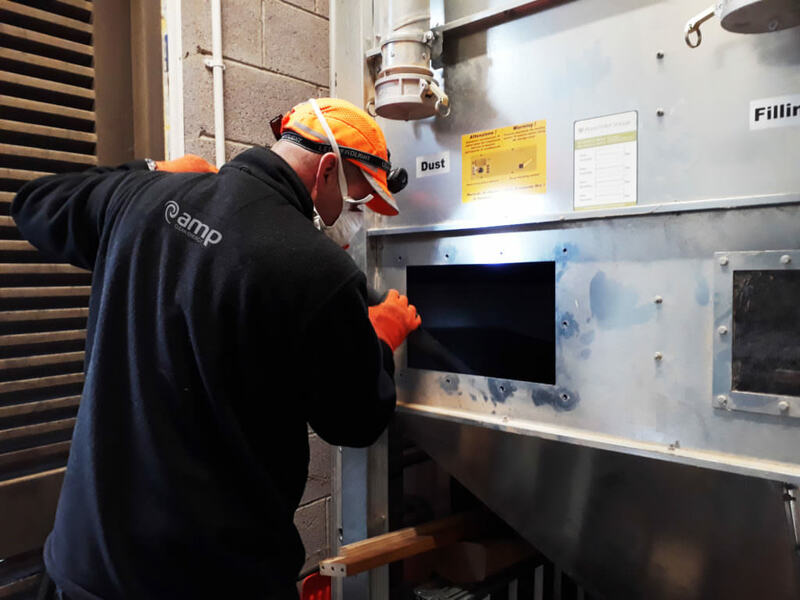 Many customers, including those at AMP Clean Energy, will already be on service and maintenance contracts which means regular servicing by expert biomass engineers is guaranteed. However, for those not on contracts, it is worth checking if your boiler is due a service. 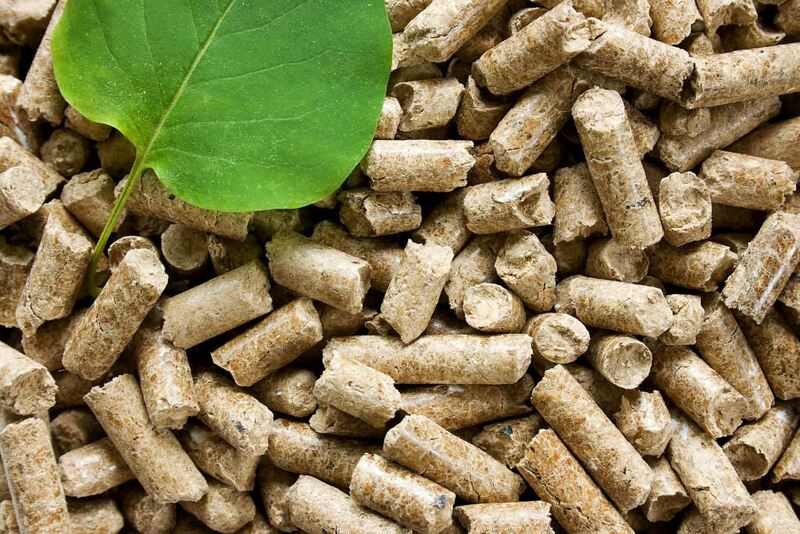 Full guidelines on the operation of fuel stores from the UK Pellet Council, ENplus and the European Pellet Council can be found here.